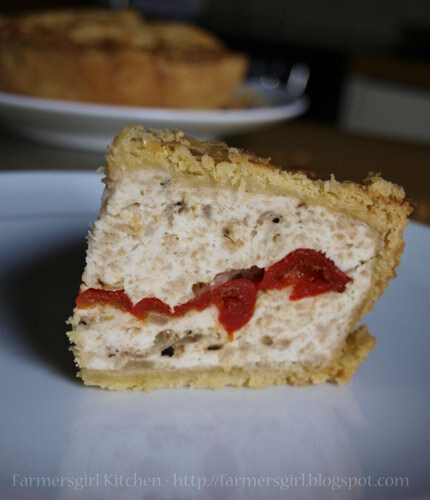 I guess if I was making it from scratch I would add a pinch of salt rather than the sugar, but the sweetness in the pastry was really quite pleasant with the mild turkey mince and the sweet heat of the Peppadew Piquante Peppers. Gently fry an onion in a little oil, let it cool slightly and mix with 400g raw turkey mince and season with salt & pepper. 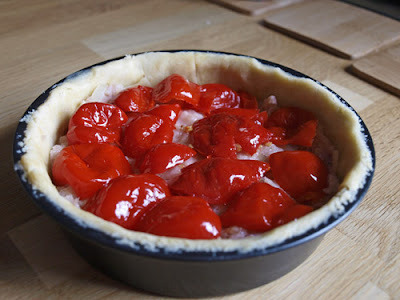 Fill the base of the pie with half the minced turkey mix, cover with a layer of Peppadew Piquante Peppers and then put the rest of the mince mixture on top. Cover with remaining pastry and brush with beaten egg. Bake for 30- 40 minutes at 180C until the pastry is golden brown. Serve warm with new potatoes and green vegetables or cold with salad. This is the perfect picnic pie as the filling holds together really well when cold. that looks amazing janice. Can you send some my way plase. So pretty with the pepperdews running through. Oooh look at your perfect pie! I don't think I've ever made a proper solid pie like this before. Looks wonderful! What a wonderful idea! 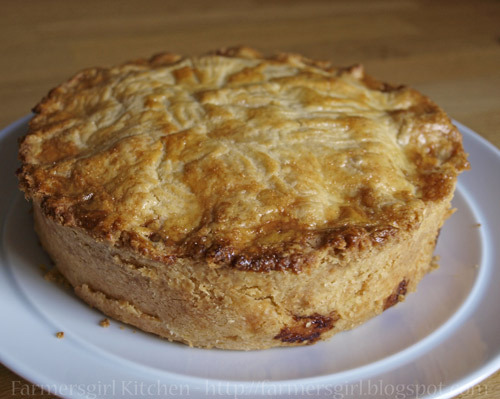 I keep lusting after pies just like this and then chicken out of doing anything about it. 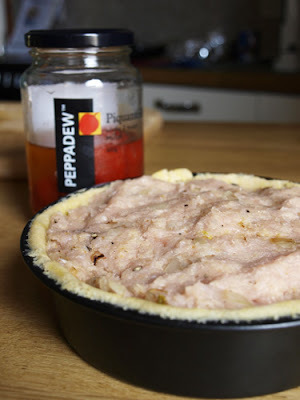 I'm tempted to have a go at a turkey pie of my own, now.